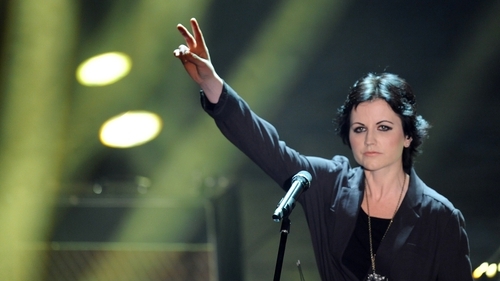 The family of former Cranberries lead singer Dolores O'Riordan have said they remain heartbroken and miss her every single day, even more so on what would have been 47th birthday. The comments come after an inquest in London found that the singer-songwriter died by drowning due to alcohol intoxication in her room at London's Hilton Park Lane Hotel on 15 January. Police officers found her submerged in a bath in the bathroom of Room 2005. The mother-of-three, from Kilmallock, Co Limerick, was staying in the hotel during a short visit for a number of scheduled recording sessions. The inquest heard reports from a number of individuals involved in the discovery of Ms O'Riordan's body at the hotel. The court also heard from doctors involved in Ms O'Riordan's care before her death. Ms O'Riordan had been diagnosed with bipolar disorder and had been managing her condition. She had been advised not to use alcohol. Her family said this evening: "Fame however, can sometimes bring with it a heavy burden, and as a family, we want to acknowledge that Dolores's life was not without challenges, particularly in the past few years. She was receiving the best professional care available to help her overcome these challenges." Dr Seamus O'Ceallaigh, a consultant psychiatrist at St Patrick's Institute in Dublin, told the court he had met Ms O'Riordan the week before her death. He said she had been looking forward to the future, looking forward to seeing her children and making plans with her partner. Ms O'Riordan had acknowledged that she had an issue with excessive alcohol consumption, but Dr O'Ceallaigh said she had maintained prolonged periods of sobriety. Toxicological reports carried out on Ms O'Riordan after her death found a blood alcohol level of 330mg per 100ml, which is just over four times the legal limit for driving. There was also evidence of prescription medication at the scene. The coroner said the medication level in her blood was above the therapeutic amount but not within the fatal range. Dr Shirley Radcliffe today asked Police Constable Natalie Smart if there was any evidence of a note in the room where Ms O'Rordan was found. The police officer said nothing was found. The coroner recorded a verdict of accidental death. She said that the death was caused by drowning and alcohol intoxication but that there was no evidence that this was anything other than an accident. Ms O'Riordan's mother, Eileen, her brother and sister-in-law attended the inquest at Inner West London's Coroner's Court. The inquest opened in January but was adjourned until today while awaiting tests after a post-mortem examination. Her death was met with tributes from across the world - both from millions of fans and other artists with whom she had worked. But her loss was particularly felt in her native Limerick where she and her family retain strong links. The Cranberries issued a statement on their Facebook page following the verdict, saying they "continue to struggle to come to terms with what happened". They sent their condolences to Ms O'Riordan's children and family saying: "Dolores will live on eternally in her music."